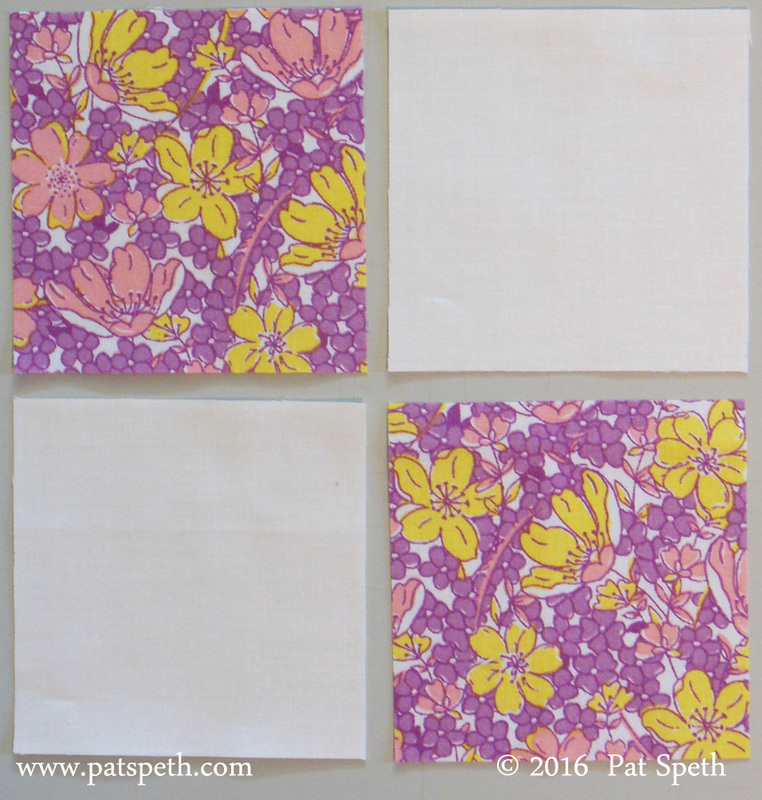 This entry was posted in Blog Hop, quilting and tagged 12 inch block, 30's Fabrics, Blog Hop, easy quilt block, quilt block, Quilt Block Tutorial by patspeth. Bookmark the permalink. I like this block. Thanks for the giveaway. I follow Inspired by Fabric via email. I really like this block. Thanks for the tutorial. that is certainly different from your usual 5″ squares for making blocks. But I like it, I like your scrappy very much. will give this one a try. I follow the Inspired by Fabric blog on my blogger dashboard/GFC. I like this block! I follow Inspired by Fabric on Bloglovin’..
i follow inspired on blog lovin’. thanks for the tutorial. I follow Inspired by Fabric on Bloglovin’. Love the prints you used for your block. I follow Inspired by Fabric via GFC. 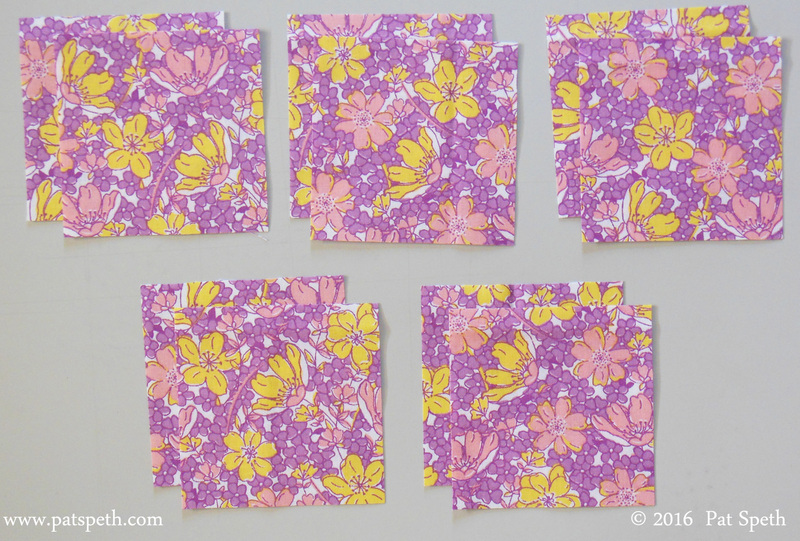 Thank you for the tutorial and I follow the Inspired by Fabric on bloglovin’. I’m a follower of that blog, which is how I found about about the hop. I love scrappy also. Love your block! I signed up. I like the colors you chose for your block. I follow the blog through email. And I already signed up via email! HI, what a neat Block ! I follow Inspired by Fabric on Bloglovin ! Thanks for sharing! Love that the block makes a secondary block. I am signed up for the newsletter. 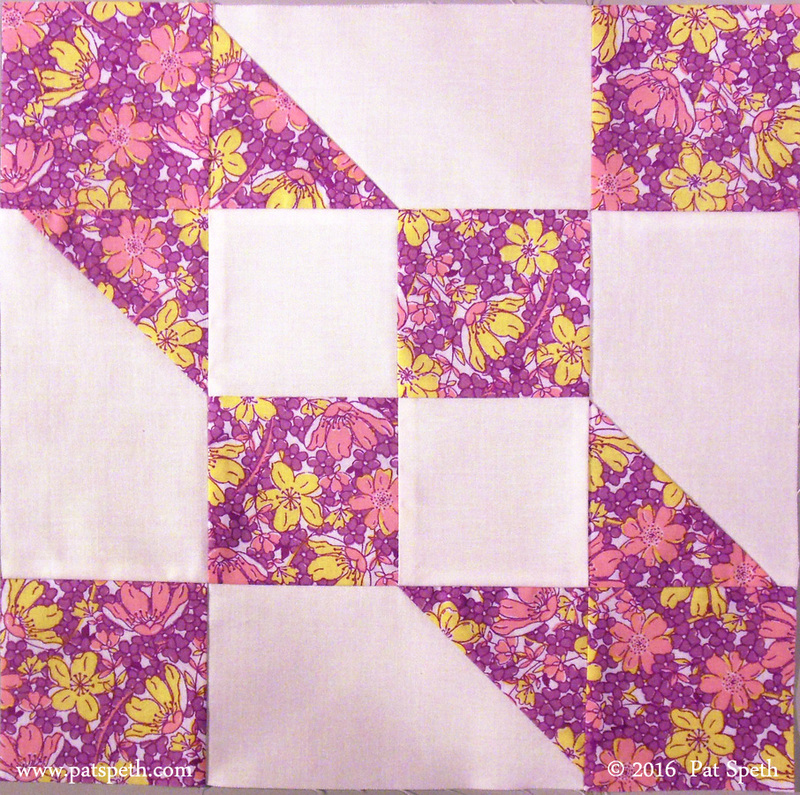 Pretty block, following Inspired by Fabric on Bloglovin’. Great tutorial, thank-you very much. I like this block. Great tutorial and block. Yes I am signed up. I really like this block also. 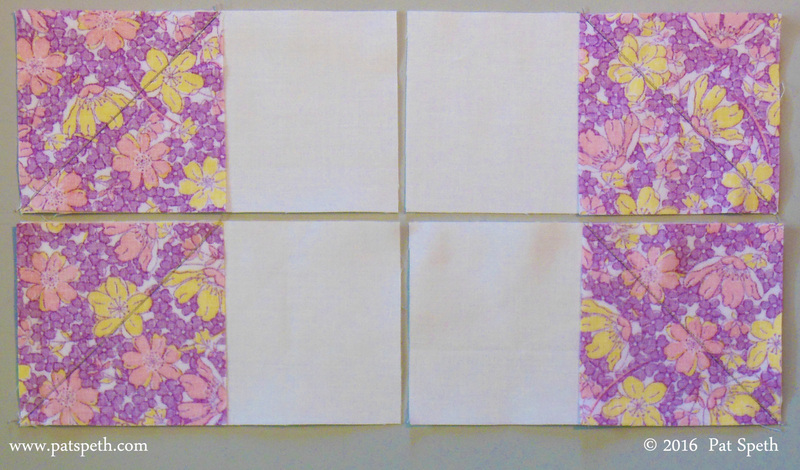 I have several FQ collections that i have been looking for a pattern for. I think I found one. 🙂 I am a loyal follower of Inspired for awhile now, I just love them! I follow Inspired by Fabric blog by email. Thank you for the tutorial for lovely block. I enjoyed your tutorial especially seeing it in the two settings. 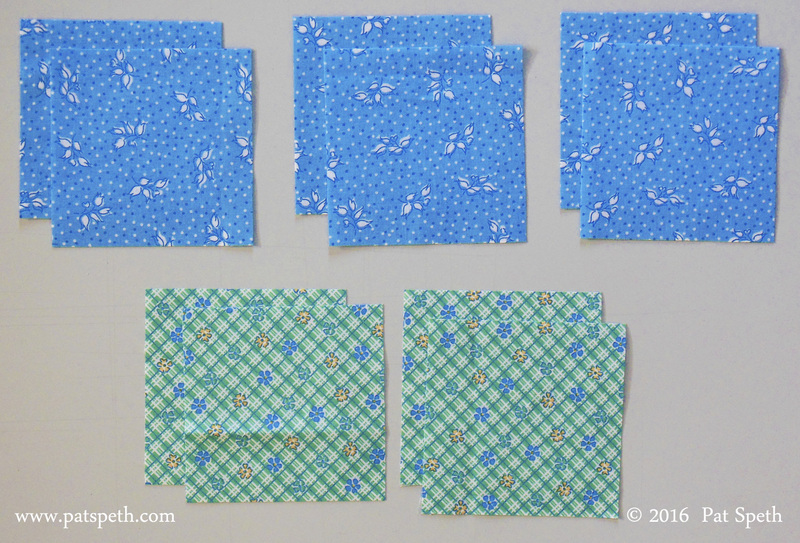 I enjoy scrappy quilt making, yet, it is nice to occasionally do a two color quilt. I follow Inspired by Fabric by email and always enjoy their posts. Thank you for sharing and the give away opportunity! Have a fantastic creative day! Ruby McKim was one of the first names I heard when I started to quilt. I like your versions. I am signed up at Inspired by Fabric. I have always liked this block, and have often made it scrappy. I follow Inspired by Fabric by email. I like both of your quilt blocks but think I prefer the extra color in it. Thanks for the tutorial. I follow Inspired by Fabric through email. 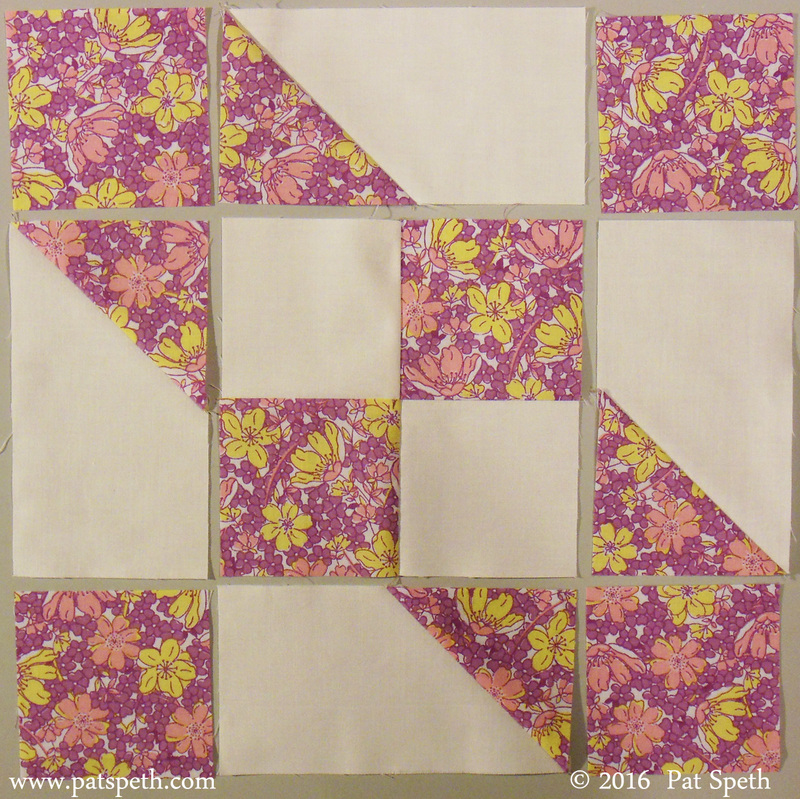 Such an easy block but can look complicated based on the fabrics used. I prefer the mixed color block but both look great. I received email posts from Inspired by Fabric. I like your block. Thank you for the detailed tutorial. I follow Inspired by Fabric through email and Facebook. Thanks for a very clear tutorial. Your blocks turned out great. I follow Inspired by Fabric via Bloglovin. 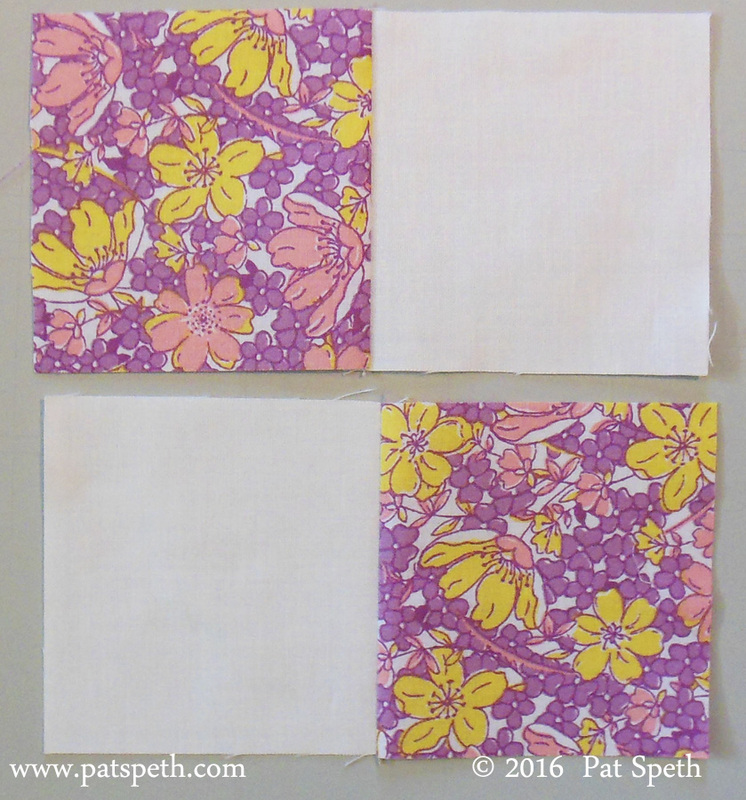 I can’t decide if I like the 2 or 3 color block better, but it’s a great block that I think I’ll use for a quick baby quilt. Love your Nickel Quilts, and I follow Inspired by Fabric through email. I need to check my 30’s fabric box. 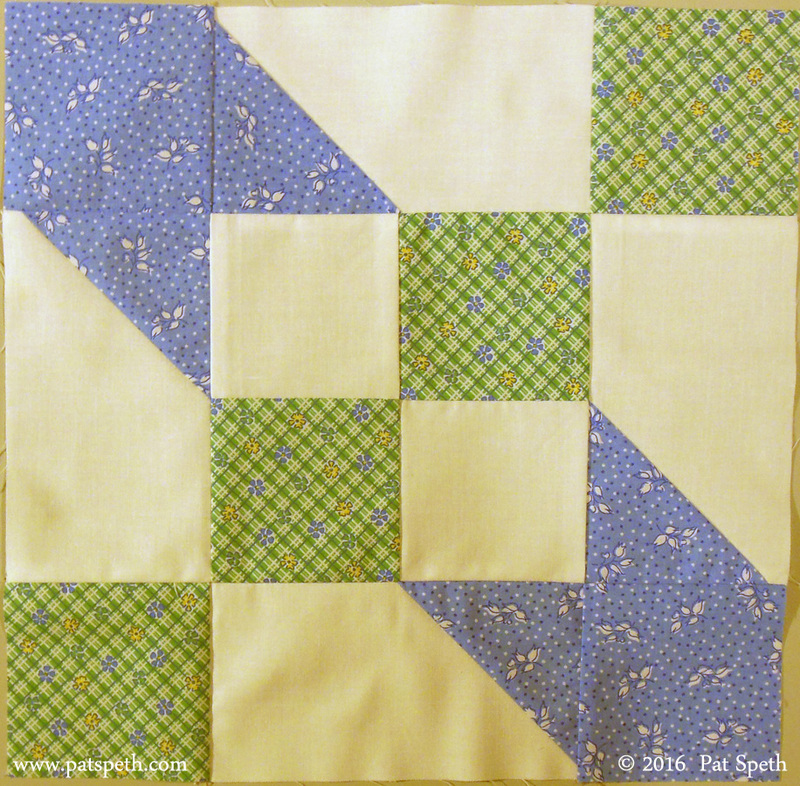 I hadn’t thought of making a quilt this scrappy. I follow Inspired by Fabric Blog by email. Love the blocks. 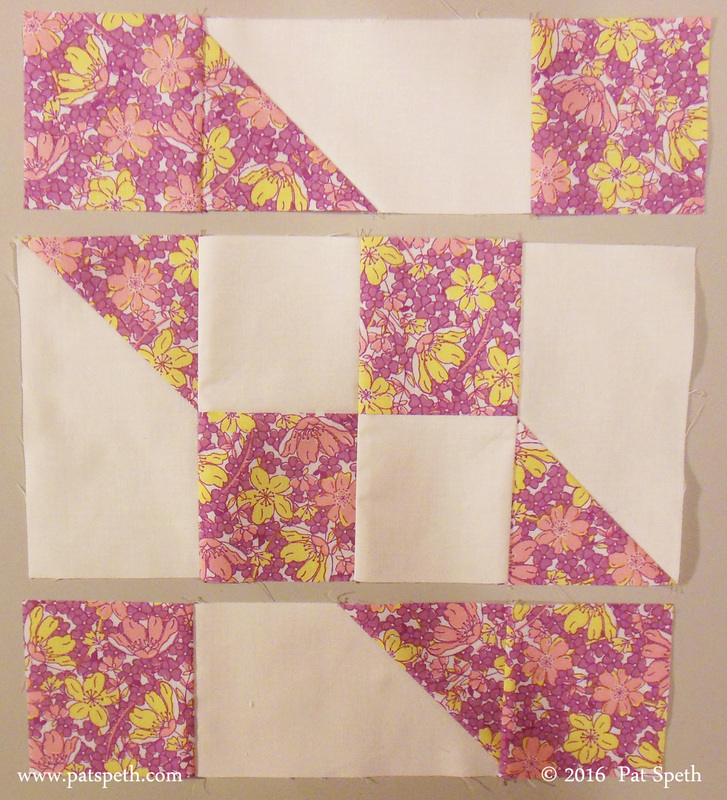 I like this block especially in the purple. It looks different when you use two fabrics. I follow Inspired by Fabric via email. Both of your blocks look great. I follow inspired by fabric by email! I follow by email. Lovely fabric, and looks great in both blocks. Thanks. I follow by email. 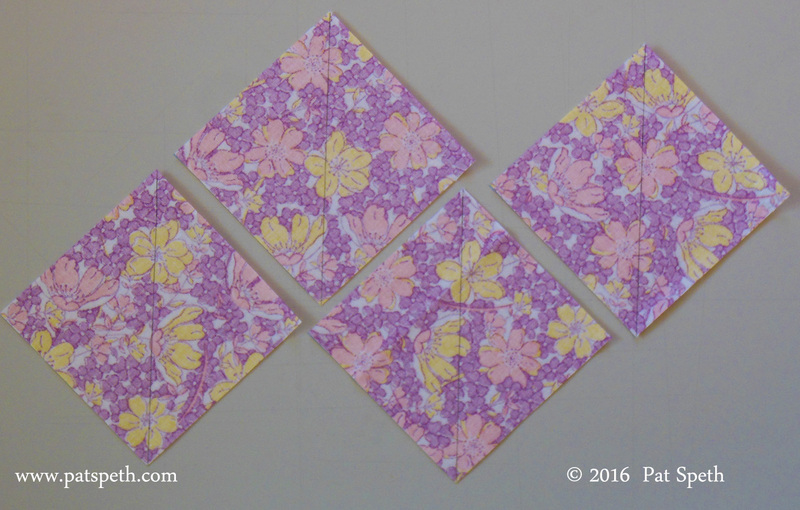 Thanks for sharing your blocks completed in two color ways. Thanks for the tutorial. 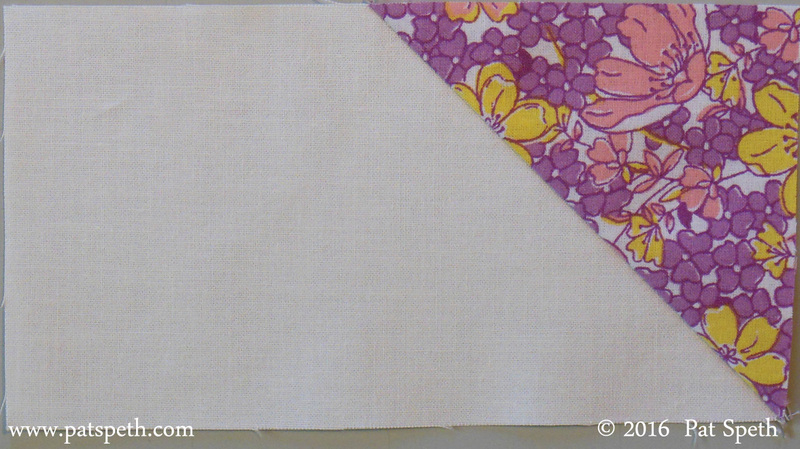 I follow the Inspired by Fabric blog with GFC. I like both color ways! Great tutorial also. I follow Inspired by Fabric via Bloglovin. I do love these photo tutorials on this hop! I follow Inspired By Fabrics blog on Bloglovin’. I’m signed up to follow on Blogovin’. Love your block and tutorial. I already follow the Inspired by Fabric blog through Blog Lovin. I am really enjoying all these tutorials. They are so easy to follow! Like the block-thank you for tutorial. Follow Inspired by Fabric via email. Great block, and great colors. I follow via email. Thanks! Hi Pat, it’s nice to meet you via Blog. 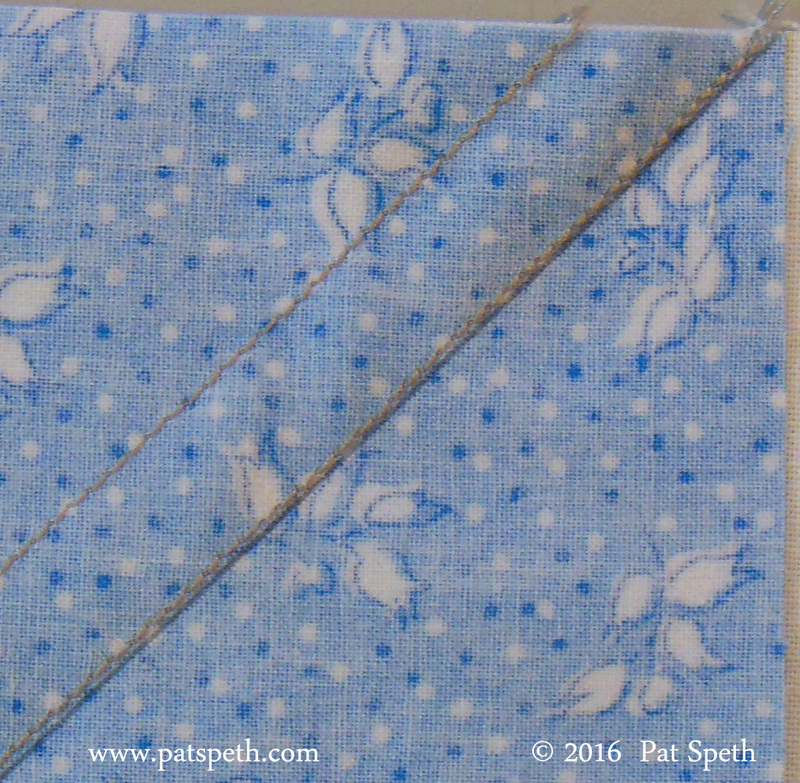 Road to Oklahoma is a keeper, and for a novice quilter like me, easy. Thank you so much for sharing both colorways /combo’s. I follow Inspired by Fabric by email. Nice block and tutorial! 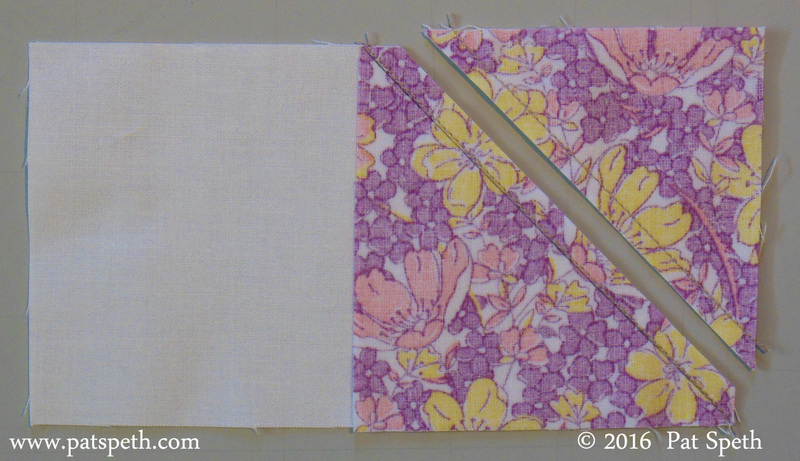 Very interesting block made with one colored fabric. Thanks for sharing. Your block is beautiful and your tutorial is fantastic! I follow Inspired by Fabric on Bloglovin. Thanks! Thanks so much for your tutorial. I’m having so much fun following everyone on the blog hop. Great color choice! I already follow Inspired by Fabric via email. I have been a follower of Inspired by Fabric for quite some time, love it. Thank you for the tutorial, I have made this block previously but this makes it easier. I follow your blog through e-mail. I love this block, both colorways. I think I am more partial to the blue and green one, since pink is definitely not my color, but I like the block with two colors or with three. PS, I also follow Inspired by fabric by e-mail, but at a different address. Thanks for the chance to win – though I might be too late, but that’s okay, too! I am signing up for e-mail–Thanks! I follow Inspired by Fabric via Bloglovin. Thanks for sharing this great block! I follow Inspired by Fabric via Bloglovin. Thanks for the great tutorial! I follow the Inspired by Fabric blog via Bloglovin. I started last year, and enjoy seeing their new fabric designs. Love the block and fabrics. Thanks. Enjoyed the tutorial. Thank you.